An Apple a Day is a vinegar like no other. 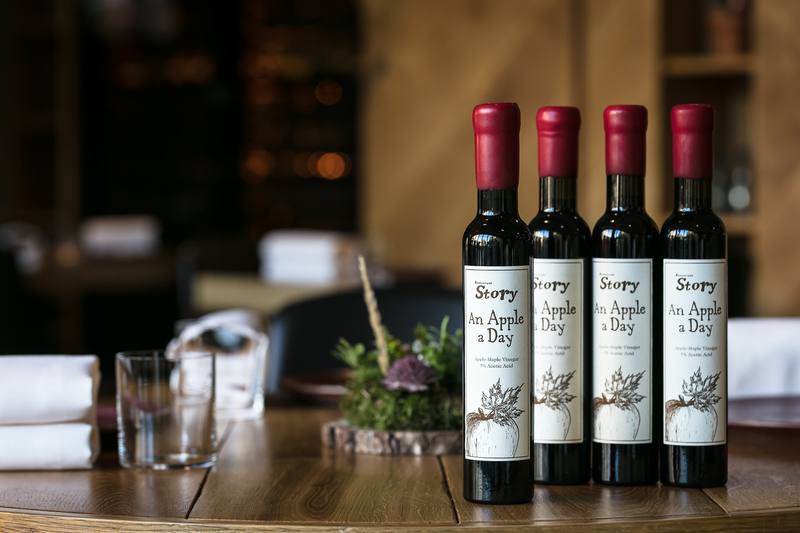 It has been developed in a unique collaboration with Restaurant Story and Minus 8 vinegar in Canada. Minus 8 vinegar are widely celebrated as the best vinegar makers in the world and have never considered a collaboration of this nature before. The vinegar that we have produced is made by fermenting frozen apples and blending it with Canadian maple vinegar. It is individually wax sealed and stamped and we use it currently in the restaurant every day.